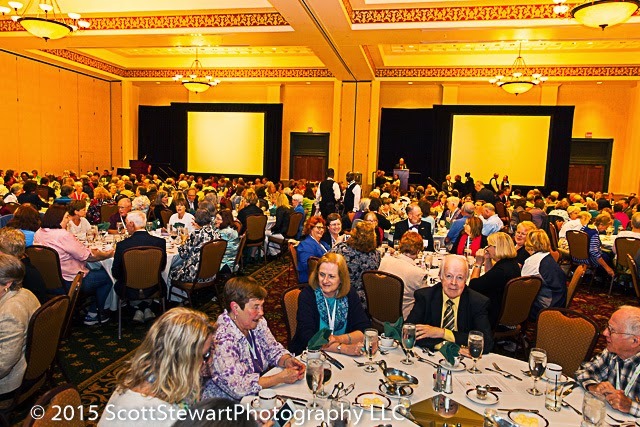 Arlington, VA, 19 May 2015—The National Genealogical Society (NGS) held its annual banquet on Friday evening, 15 May, at the NGS 2015 Family History Conference in Saint Charles, Missouri, to present awards that acknowledge and honor genealogical scholarship and service. Each year, these awards are presented to organizations and individuals who have made outstanding contributions to NGS programs or have performed outstanding work in the field of genealogy, history, biography, or heraldry. This year, twelve awards were presented. Inaugurated in 1968, the National Genealogical Society Hall of Fame has honored outstanding genealogists whose achievements have had a significant impact on the field of American genealogy. Nominations are solicited annually from genealogical organizations. Those nominated must have been actively engaged in genealogy for a minimum of ten years and have been deceased for at least five years. Their contributions must have been substantially unique, pioneering, or exemplary as an author of books or articles, as a model of genealogical research or writing, or by making source records more readily available. Nominees could also have been a teacher or lecturer, or contributed to the field through their leadership in a genealogical organization or a periodical. Entries are judged by a panel of genealogists from various parts of the United States. This year, Donald Arleigh Sinclair, nominated by The Genealogical Society of New Jersey, was elected to the NGS Hall of Fame. The main body of his work consists of more than fifty articles about his transcriptions of cemetery and bible records of New Jersey families that were published in The Genealogical Magazine of New Jersey. Other notable publications include A Guide to Manuscript Diaries and Journals in the Special Collections Department, Rutgers University (1980); New Jersey Family Index: A Guide to the Genealogical Sketches in New Jersey Collective Sources (1991); and A New Jersey Biographical Index: Covering Some 100,000 Biographies and Associated Portraits in 237 New Jersey Cyclopedias, Histories, Yearbooks, Periodicals, and Other Collective Biographical Sources Published to About 1980 (1993). Fellowship in the National Genealogical Society recognizes those who have been of outstanding service to NGS. The 2015 Fellow was posthumously awarded to Patricia Shawker. Shawker served on the NGS Board from 2003–2006 as treasurer and lectured at a number of NGS conferences. She wrote Research in Maryland, a NGS Research in the States series publication; authored several guides published in the Maryland Genealogical Society Journal; and was a long time contributing editor to The Prince Georges County Genealogical Society Bulletin. Shawker served on the board of the Maryland Genealogical Society for several years, including one term as treasurer. She became the registrar of the Prince George’s County Genealogical Society in 1998, a position she still held at her death. She had been a volunteer staff aid at the National Archives and Records Administration (NARA) since 2005 and served as a mentor for the ProGen 6 study group. She will be remembered for her expertise, generosity, ready smile, and remarkably broad career. Her specialties were Maryland research, federal records, lineage applications, and methodology. She was widely known as the Director of the National Institute of Genealogical Research (NIGR) for the past seven years, guiding hundreds of attendees during their first research endeavors at NARA in Washington, D.C. The Award of Merit is presented to an individual or non-profit genealogical or historical organization in recognition of exceptional contributions to the field of genealogy that have significantly aided research or increased interest in genealogy over a period of five or more years. The 2015 Award of Merit was presented to Reginald Washington of Upper Marlboro, Maryland. Washington’s contributions to the study and preservation of African-American records is truly exceptional. For three decades, he has introduced researchers to many little-known, but incredibly rich, record collections that are now staples for genealogical research. His labors have given researchers online access to a half-million documents from the files of the Southern Claims Commission and more than a million from the Freedmen’s Bureau and the Freedman’s Savings & Trust Company. Washington has taught at the National Institute for Genealogical Research and has been a popular draw at NGS conferences for two decades. He has published articles in the NGS Quarterly, in Prologue (the scholarly journal of the National Archives), and in popular magazines such as Ancestry. He authored the National Archives’ guide, Black Family Research … At the National Archives; created instructional videos for occasions such as the 150th Anniversary celebration of the Emancipation Proclamation; and was a featured expert in the BYU television series Ancestors. The Shirley Langdon Wilcox Award for Exemplary Volunteerism recognizes a volunteer whose generosity of spirit and time has greatly benefited NGS, as well as the genealogical community, over a period of years. David Rencher of Riverton, Utah, was the recipient of this year’s award. Rencher has had many professional and volunteer roles in the field of genealogy. He is one of a small number of genealogists who are both accredited and certified. He serves as the Chief Genealogical Officer for Family Search and is a well-known, respected, and sought-after lecturer. The award was given in recognition of Rencher’s service as a volunteer, including his support of NGS and many other non-profit genealogical organizations. He has served as the president of the Federation of Genealogical Societies (FGS) and of the Utah Genealogical Association. He was a visionary chairman of RPAC, the Records Preservation and Access Committee, which is a joint operation of NGS, FGS, and the International Association of Jewish Genealogical Societies. Rencher has also voluntarily provided his substantial assistance to preserve and make genealogical records accessible when there were access or preservation issues in Virginia, North Carolina, Oklahoma, Georgia, and many other places in the United States and internationally. The Distinguished Service Award recognizes an individual’s dedication to the work of NGS. Recipients must have been a member of the society for at least one year. The Award may be presented to an individual more than one time. This year, the NGS Board of Directors has awarded Barbara Ann Renick of Brea, California, its 2015 Distinguished Service Award. Renick has been a tireless advocate and enthusiastic supporter of NGS and its programs. She served NGS as a board member and Secretary. In addition to being a respected speaker and workshop leader in the application of technology to genealogical research, Renick has been a volunteer at NGS booths at many conferences around the country, as well as at NGS conferences. She has extended the outreach of NGS in tangible and intangible ways through her appearances at AARP, FamilyHistory Expos around the west, and state and local conferences and events in California, Oregon, Washington, Arizona, and Nevada. Renick did this on her own initiative, and usually at her own expense. Her work contributed to a rise in the visibility of NGS and of membership in NGS in the western states. The winner of the Family History Writing Contest was William Cox of Austin, Texas, with his entry, From Slavery to Society: The Jerry Moore Family of Pennsylvania. This award was created to encourage NGS members to write family histories that cover at least three generations and not more than four generations of their family. National Genealogical Society Quarterly’s Award for Excellence is presented for an outstanding article published in the NGSQ in the previous calendar year. For 2014, the editors have chosen “Goggins and Goggans of South Carolina: DNA Helps Document the Basis of an Emancipated Family’s Surname,” by Morna Lahnice Hollister, published in the September 2014 issue of the NGSQ. Anderson of Jaffrey, New Hampshire. The title of his entry was Elements of Genealogical Analysis. This award is for a specific, significant single contribution in the form of a book, an article, or a series of articles that discuss genealogical methods and sources, which serves to foster scholarship and/or advances or promotes excellence in genealogy. The Award for Excellence: Genealogy and Family History Book’s recipient was Christopher C. Child of Boston, Massachusetts. The title of his entry was The Nelson Family of Rowley, Massachusetts. This award is for a specific, significant single contribution in the form of a family genealogy or family history book published in the past five years. Entries serve to foster scholarship and/or otherwise advance or promote excellence in genealogy. The Senior Rubincam Awards were established in 1986 to honor Milton Rubincam, cgsm, fasg, fngs, for his many years of service to the National Genealogical Society and to the field of genealogy. 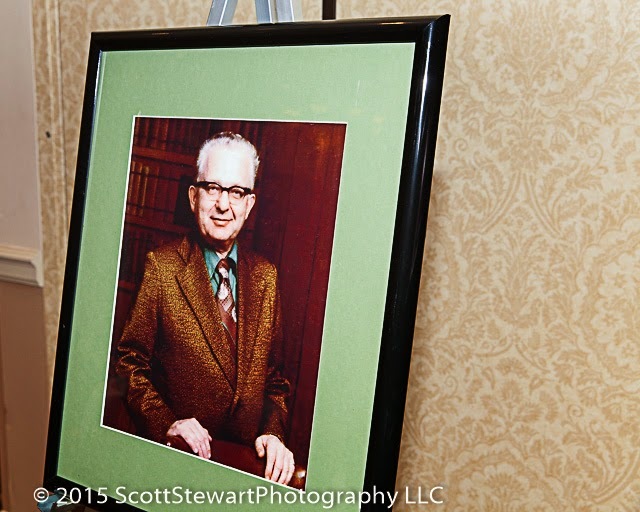 The awards encourage and recognize our youth as the next generation of family historians. The Senior Rubincam Youth Award (for students in grades 10–12 or between the ages of 16 and 18) was presented to Erin Rose O’Hara of Collegeville, Pennsylvania. The title of her entry was The Maternal Ancestry of Erin Rose O’Hara, The first five generations. The Junior Rubincam Youth Award (for students in grades 7–9 or between the ages of 13 and 15) was presented to Adam Wickham of New York, New York. The title of his entry was Landon H. Wickham: Family is Key. 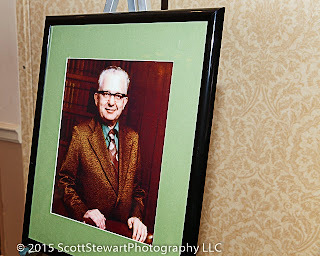 Formerly the Home Study Scholarship, The John T. Humphrey, CG Memorial Scholarship was renamed in 2013 to honor John T. Humphrey, cg, for his many years of service to both the field of genealogy and the National Genealogical Society. Julie L. Bartimus of Naperville, Illinois, was the winner of this year’s award. Bartimus received the award for demonstrating her serious interest in pursuing a career in genealogy. In addition to her membership in NGS, she attended genealogy conferences and subscribed to various genealogical publications.